FLANDERS, 1989 - I love snow. The more, the better. Maybe it is because I'm born in a winter with loads of snow, or just because people tend to love the things that are rare. And for the last decade, snow has become really rare over here. Usually we get each year about one week a bit of snow, somewhere in december or january. As I'm writing this in december 2001, there's no snow outside my window, but I remember times when there was a lot of it. One of these times was in winter 1989. 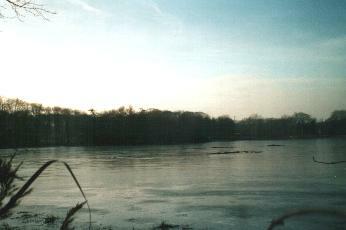 I very well remember walking and gliding on the frozen pools, the same ones that were used by sportsfishermen in summer. I have to laugh again when I think back about the snowfights with friends, and about the snowman we made together with the little children. Now that was what I call a winter ! 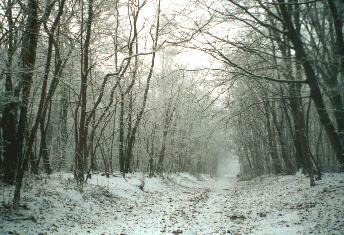 FLANDERS, 2001 - My call for snow has been heard by the weather gods ! 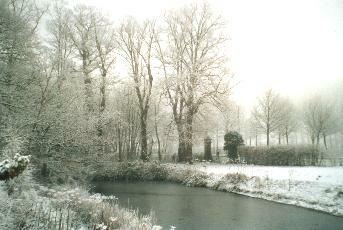 I'm happy to be able to show new pictures of this years winter, which was amazingly beautifully covered in snow and ice. Following pictures do not need a lot of comments. They were taken in the woods close to my home. Also a nearby frozen pool attracted a lot of ice skaters. This next picture was taken after the crowds - and the snow - were gone. 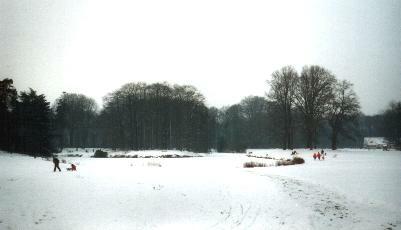 EUPEN, 1998 - In the highest regions of our country, there is obviously more snow each year... if it snows at all. 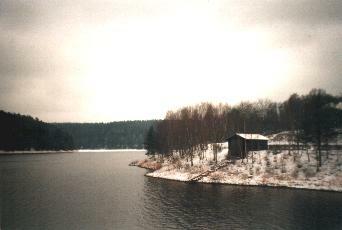 When the first snow comes - as is the case at the time of writing (12/2001) - everyone gets crazy and wants to go to the Ardennes. The roads are slippery and chaotic situations are to be seen. 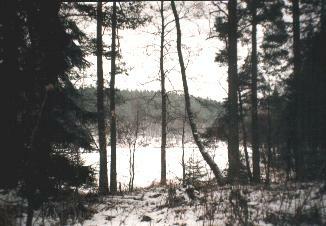 Most people go over there to do some cross-country skiing or even alpine skiing (on some rare occasions). I am one of these crazy people. But I mainly go hiking to experience the beautiful landscapes and the solitude and silence of the snow landscape. The town of Eupen is located near the German border.